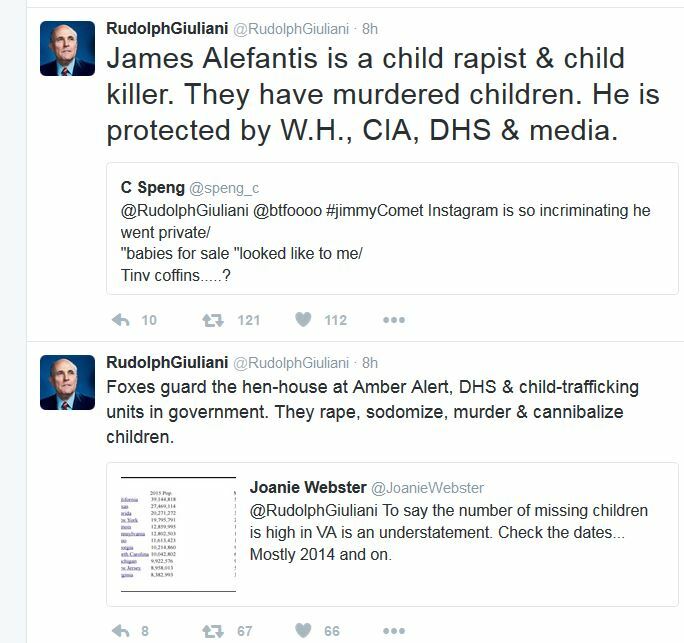 Home NationalNews Rudy Giuliani Twitter account suspended over #Pizzagate Tweets images from archive! 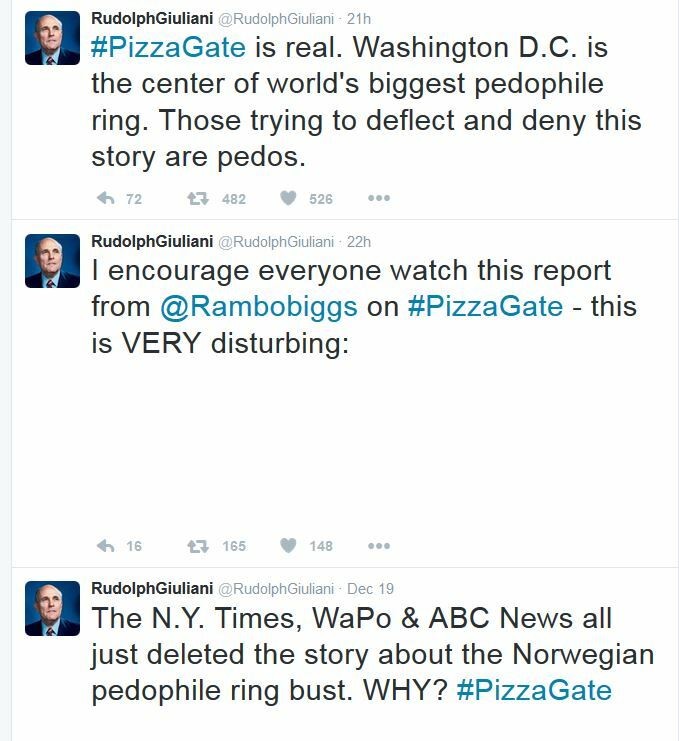 Rudy Giuliani Twitter account suspended over #Pizzagate Tweets images from archive! 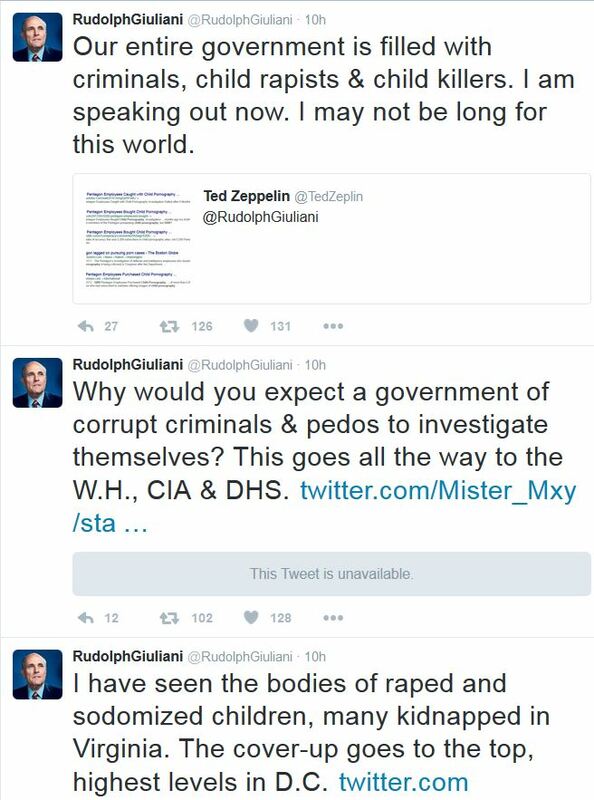 We do not KNOW how this information got onto Giuliani’s Twitter page. Did HE actually post it? 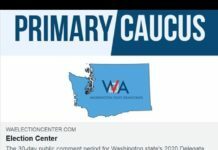 Was this a Hack? Time will tell but for right now THIS is what we have! 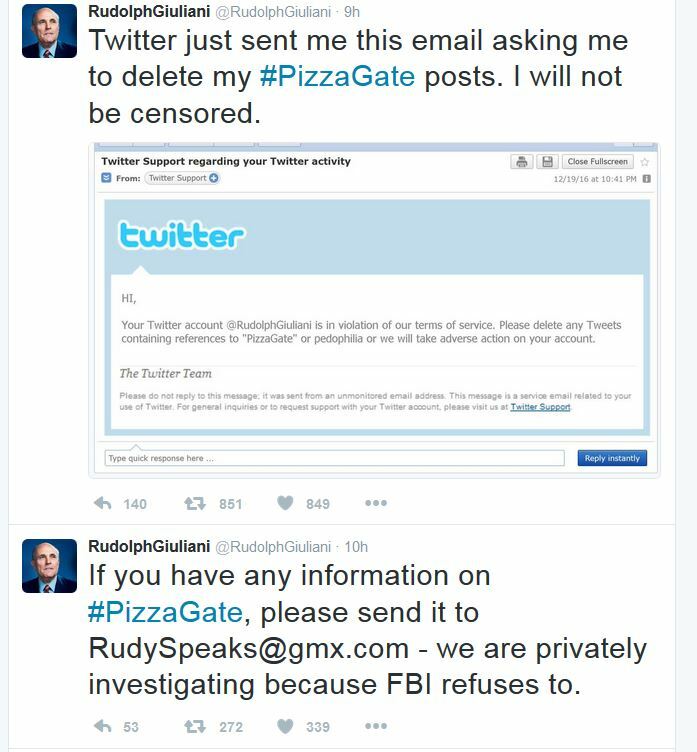 First here is the statement off Rudy G’s twitter page archive. It is Stunning! Other screenshots from the Archive! YOU decide! To us the most telling image of authenticity is the tweet of the Twitter warning, Right? 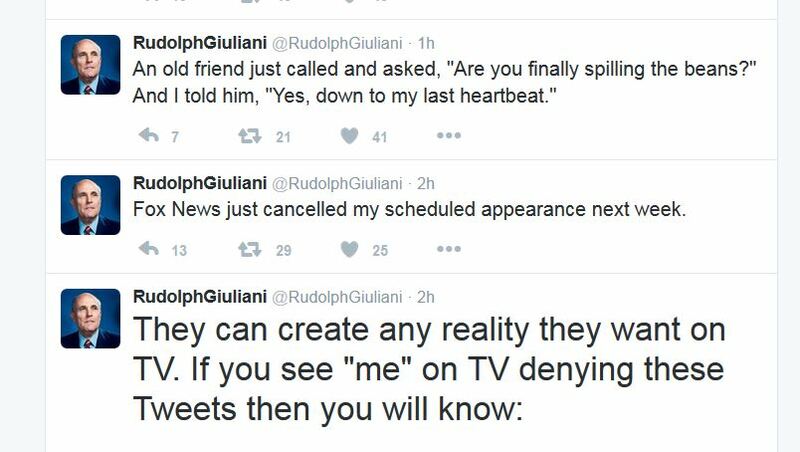 And Rudy is NOT Kidding…. 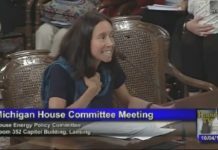 OK Listen to this from a live stream…. i spent hours today trying to get to the truth about this and have given up for the day. 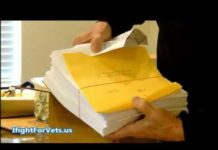 what a strange convoluted unholy mess ! i could not find any definitive proof that it’s really rg. the account was taken down but it was up when i saw it this morning. just clicked now, still there. i lived in manhattan while he was mayor and while he may be a fascist arse, i do know that he is NOT suicidal. guess i have to wait to hear it from joolie’s mouth. when you go down the rabbit hole, you find that there is a huge extensive network of rabbit warrens down there. it is very dark and very creeeepy. even if it’s fake, there are names that could be researched. take a big bright light with you when you go…it’s very very dark. 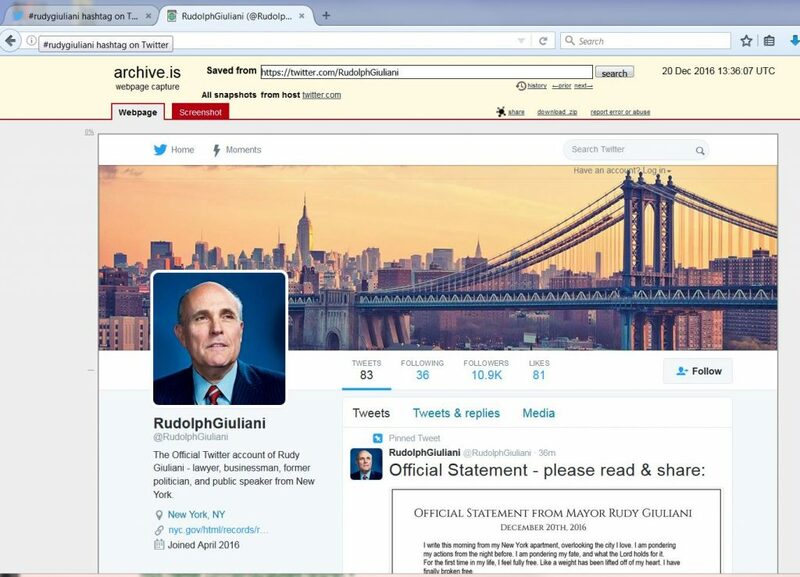 Just read on a debate forum that ‘the official statement’ was “posted on a fake Giuliani twitter page”! 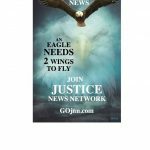 Has this been verified by now – or should one still wait for further development?